This Pro Booker account tool will let users create a series of recurring events on any schedule, for up to 6 months. Looking to add more dates down the line, just click “Extend Series” from the fly-out menu when hovering the event on your dashboard. Want to Feature Local Concert Listings on Your Site? Just visit the Event List of MusicIDB, filter to your liking, and click “embed” to insert on your site. 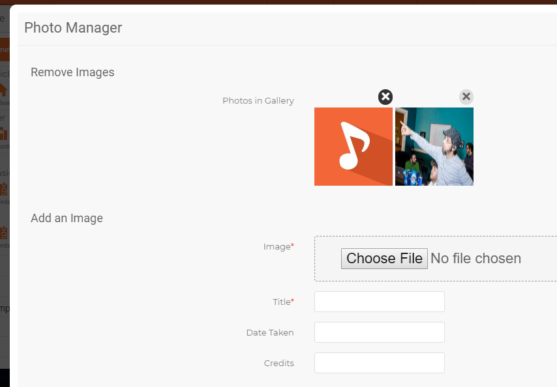 You can have a maximum of 8 images for your artist page gallery area (separate from your artist profile image and header image), and now you can FINALLY you can remove old ones and add new ones as needed. Thanks for your patience while we took five years to build this feature. Just visit your artist page, and you’ll see the Manage Gallery button at top left. Live music venues and clubs keen on having a state-of-the-art, media-rich website touting all the details of their finest bookings will now be able to do so much more simply with a new online platform that acts as a booking back-end and an event listing service all in one. MusicIDB 2.7, which has been launched by Megabase Inc. and is an update on the company’s core product, will make the often stressful task of managing live acts for clubs and other venues as hassle-free as enjoying the music itself with a calendar service that can be integrated easily onto each venue or company’s website. The user experience couldn’t be simpler, each user accesses the database with their own login and account and can immediately tag new or existing artists and bands at their venue from their dashboard calendar. If venues are seeking new acts for their next big event, they can also filter and browse the 8,000+ artists that MusicIDB already has in the database. As well as making things more manageable for venues and clubs, the platform also offers musicians and bands a way to manage their information as it appears on actual venue websites utilizing the service. 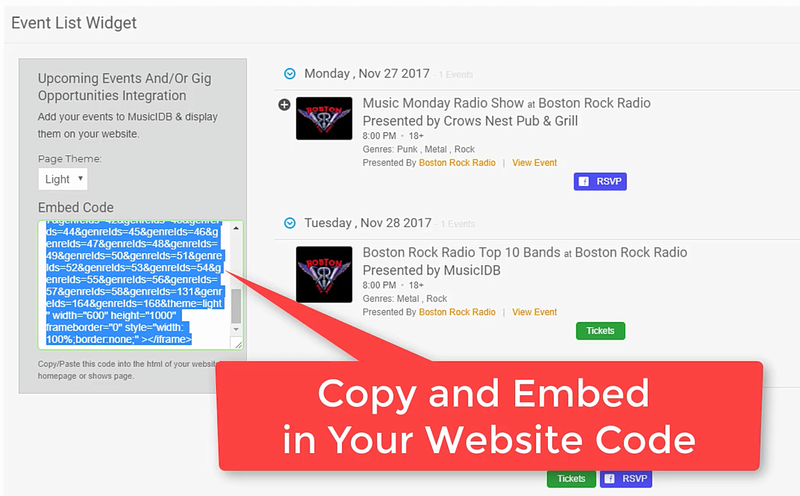 This is a new approach to updating website information, gone are the days where one person at the venue needs to add every detail for every artist to their website – MusicIDB allows the bands and venue managers to collaborate, saving time for both parties. For places that have daily specials they want to promote on their calendar, weekly showcases, or a monthly open mic night for example, the ‘recurring events’ system is a highly anticipated solution which allows venues and promoters to easily build and bulk-edit weekly or monthly events. As expected, the scheduling tool can be as specific as the 3rd Thursday of each month, or every other Saturday, for example. MusicIDB is primarily based in New England, but the platform is scalable, and the technology can be implemented anywhere in the US, making it a diverse and adaptable bit of technology that is likely to benefit a number of venues and musicians. Megabase Inc. is a company that has launched an online calendar and database service called MusicIDB 2.7 that makes it easier than ever for live venues to manage their bookings, update their website event listings featuring videos and links for all upcoming acts, and provide a calendar tab on their Facebook pages.